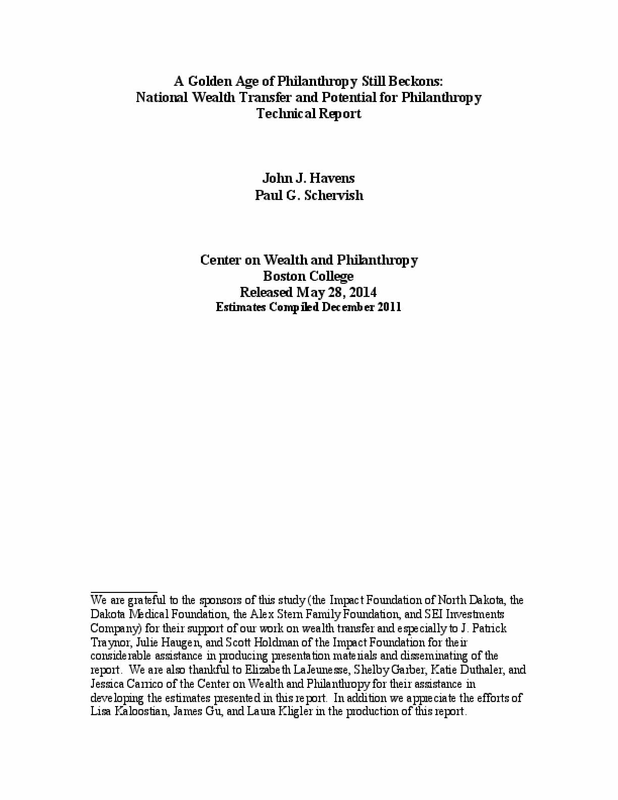 This report provides estimates of wealth transfer and philanthropic giving by households during the period from 2007 through 2011, with one study focused on the households in North Dakota, and another focused on household wealth transfer and charitable giving at the national level. Includes projections of individual charitable giving during the next half century. With bibliographical references. Copyright 2014 by Boston College Center on Wealth and Philanthropy. All rights reserved.